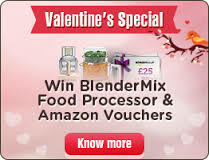 Valentine's Promotion with Tea Time Bingo - Play your Favourite Slots! It’s the time of year when roses are red and violets are blue, and we at Mobile Bingo Bonuses are here to bring you the best Valentines offers which we’ve found at Tea Time Bingo. As well as an impressive bingo site, Tea Time Bingo offers an array of welcome bonuses and high quality games such as bingo, casino and featured slots. Plus if you enter the code LOVEFEB you’ll receive a 30% bonus for every deposit you make, now that’s pretty generous! Daily Romantic Jackpot – Join Tea Time Bingo in their daily jackpot room at 11pm where you could be in with a chance of winning £100. With tickets costing a mere 15p each you’ll have plenty of chances to win. Or if you deposit £10 towards the jackpot of the day you’ll receive 2 tickets, so the more you deposit the better your chances. £3k Month of Love – Play your favourite slots this Valentines season and you could win up to £3,000. 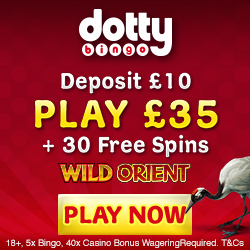 For every £20 cash wagered on slots, you’ll receive 1 point, so the more points you collect the more prizes you win. 8th and 10th Place – £40. £1,400 Valentine’s Jackpot – Join Tea Time Bingo in their Valentine’s Jackpot Room on the 28th February at 11pm. With tickets priced at 20p you could win anything from £100 to an amazing £1,400. 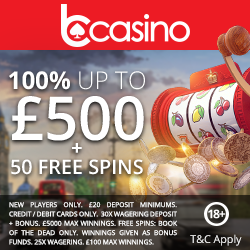 For those of you new to Tea Time Bingo then you’ll be delighted to hear that they offer a number of amazing welcome bonuses including £15 when you register, a 1st deposit bonus of 200% cash match bonus on £10 and a reload bonus from the 2nd depsoit onwards. If you fancy a bit of bingo fun then simply head to Tea Time Bingo.